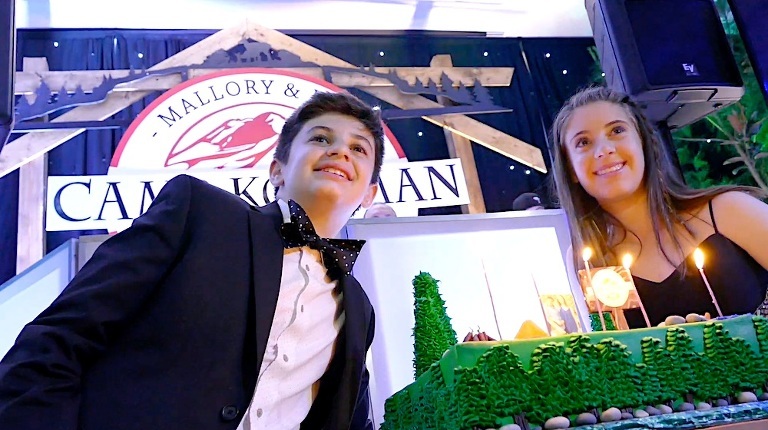 We had an awesome time in the great outdoors capturing Mallory & Ben’s B’nai Mitzvah Video Highlight at their party at the gorgeous Alfond Inn in Orlando. Laurie of Bliss Events along with Jesus and the team from Raining Roses created a virtual campground right there in the ballroom. This amazing design featured lanterns, a campfire, real pine trees and even some woodland creatures hiding among the branches. And if that wasn’t cool enough, there was amazing entertainment including a speed painter who crafted larger than life canvas wall art — upside down! This was hands down one of our favorite events of the year. And if you haven’t had a chance to watch the Wes Anderson inspired concept film we created for this event, check it out here!